"A man’s homeland is wherever he prospers." – Aristophanes, 388 B.C. Texas Homeland Title provides escrow, closing and title services in the greater Houston area, and throughout the state of Texas. We understand our customers’ service expectations, and we strive to remain friendly and accessible. We see our customers as individuals, not file numbers, and we know them by name. As an independent title agency, we issue title policies underwritten by a member of the largest and most financially sound title insurance company in the world. Give us a call today, and let Texas Homeland Title make your next real estate transaction the most pleasant you have ever experienced. Texas Homeland Title is a policy issuing title agent of Lawyers Title Insurance Corporation, part of the Fidelity National Financial family which is the largest title insurance company in the world. 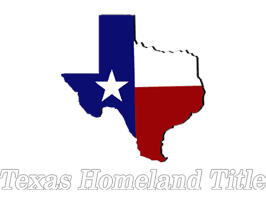 "I have used Texas Homeland for years over multiple transactions. They do a great job and always make my clients feel well cared for."